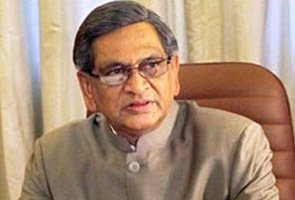 An amendment to the Indian constitution is being drafted to enable the exchange of 111 Indian enclaves in Bangladesh and 51 Bangladeshi enclaves in the Indian territory, reports the Press Trust of India quoting Indian External Affairs Minister S M Krishna. He writes to CPI leader Prabodh Panda on the issue. In the letter the minister says,”Government is committed to the earliest implementation of the Protocol and Land Boundary Agreement (between the two countries) that would result in exchange of enclaves,” he said letter to CPI leader Prabodh Panda. The minister says, "These large number of people of both countries are deprived of political rights and do not enjoy social facilities that are necessary for development of individuals in a free society." “The ratification, therefore, necessitates an amendment of the Constitution. Necessary preparations to place a draft amendment bill before Parliament are underway,” Krishna said, adding that these would “enter into force on the date of exchange of Instruments of Ratification” and facilitate the exchange of these enclaves. Krishna’s letter came after Panda raised the issue in Lok Sabha earlier this month asking the government to take urgent steps to exchange the enclaves and provide much-needed relief to thousands of people living in these areas. Panda had said 37,100 Indians were living in these enclaves and 14,200 Bangladeshis living here, as per the latest census carried out jointly by both countries. The Protocol and the Agreement, signed during Prime Minister Manmohan Singh’s visit to Bangladesh in September last year, are subject to ratification by both governments. The Indian enclaves in Bangladesh were spread over 17,149 acres of land, while Bangla enclaves in India were located in 7,110 acres, Panda had said, observing that the problem had been persisting since Independence and not been resolved even after the 1974 Indira-Mujib Agreement or during the transfer of Teen Bigha.